One of the most famous landmarks, on the Island of Lana'i in Hawaii is the sea stack known as "Pu'upehe". 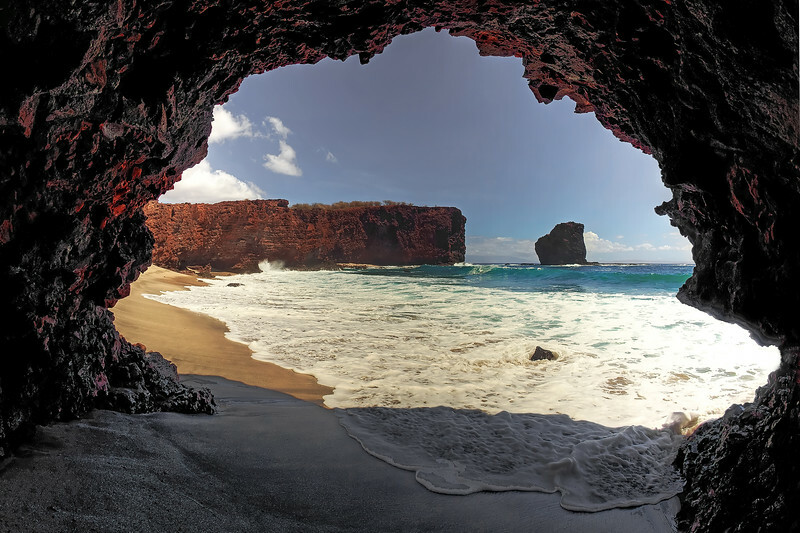 Legend has it that a Hawaiian woman, by this name, fell asleep in a cave near this landmark... and was drowned by a large wave that crashed into the cave. The legend tells of her lover finding her body and burying her on top of the rock formation that bears her name. Could this have been the cave where she died?